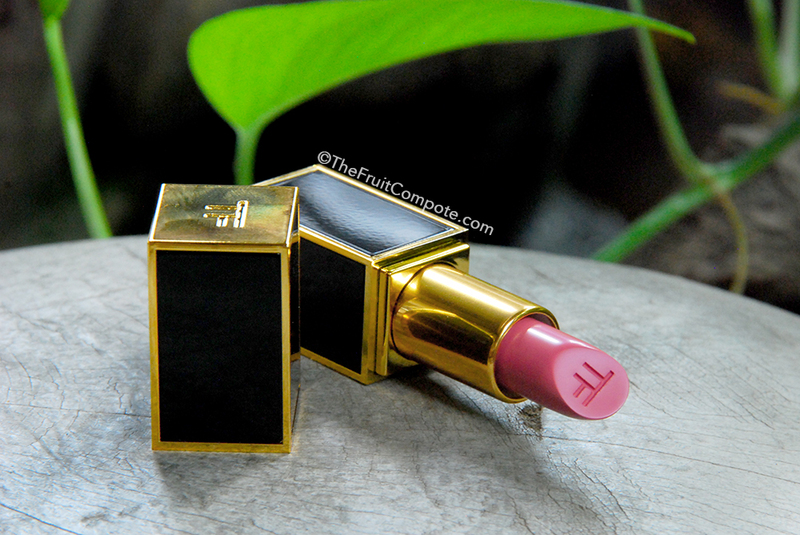 On my trip to Hong Kong last November, one of the things in my beauty wish list was to get the fairly-new Tom Ford matte lipstick offerings in Black Dahlia and others. But to my disappointment, the Beauty Advisor told me that the counter only carry a couple of shades for now and was unsure if Hong Kong will carry the whole line up. Feeling a little bummed, I gave the only two shades available a swatch and decided that I might be able to work this particular shade that I ended up getting. 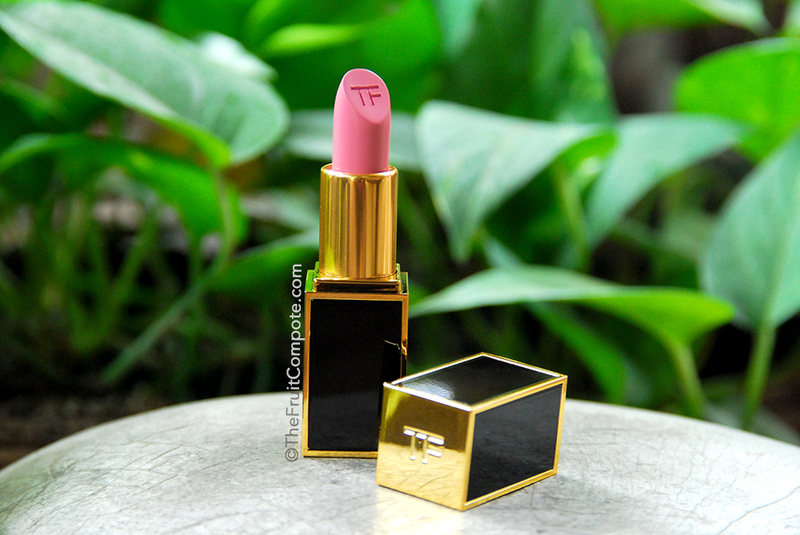 It’s the Tom Ford Lip Color Matte 03 Pink Tease. The lighting over at Lane Crawford wasn’t proper for a beauty department. It wasn’t the brightest and it was yellow, so that kind of lighting will distort colors. But, I can still guesstimate. I went on and swatch Pussycat and Pink Tease. With no hesitation, I dismissed Pussycat. Don’t get me wrong, it is a pretty, everyday shade and I am almost certain that Pussycat might be a more popular, favorite shade than Pink Tease amongst many people. But, the mauve, plummy pink is just not my kind of color. It ages me and pulls my complexion down. Pink Tease on the other hand, looks very feminine and screams spring time. I usually don’t go for pinks like these, because my natural lip color is not a good canvas for such shades. But my gut was telling me that I should really try to swim more in the sea of pinks, or lighter shades in general. Just mixing things up, you know. How can I not fall for that dainty shade-of-pink? Right after I got out of the building, under natural sunlight, I immediately took out the lipstick and I was relieved to see this beautiful, posh bullet. It gave me faith, that perhaps, I can wear this. My next concern was of course, the actual application. 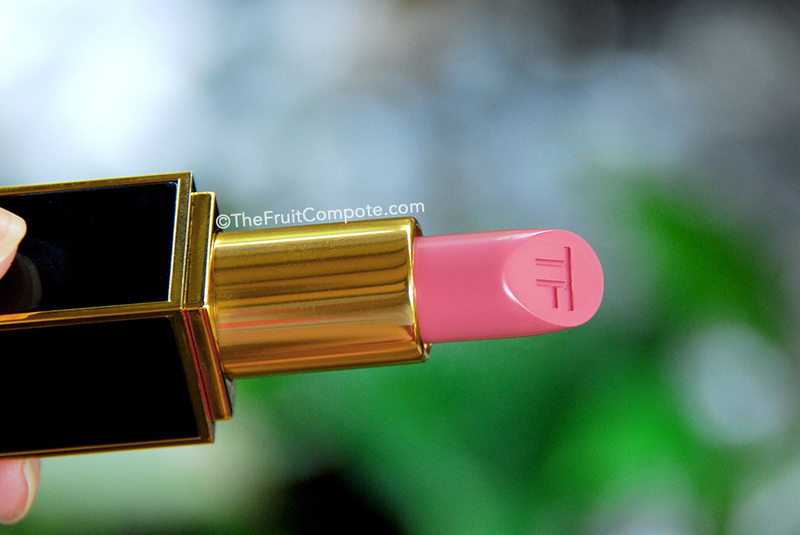 Tom Ford Lip Color Matte Pink Tease is lighter and paler than my natural lip color. I was nervous whether it will cover my lips or not, and if it does, whether the result color will be distorted or not. Because this is marketed as a matte lipstick, I had prepared myself for a drier bullet, especially the top part. Yes, it did drag quite a bit for the first time. It wouldn’t stick 100% properly on my lips. However, I wasn’t too worried about it because the tester back at Lane Crawford had this soft, smooth, engaging texture. I was right, after 3-4 times, I started to experience the beautiful texture myself and the application became effortless. Pink Tease‘s formula is something that I’d call a classic-modernized matte. It feels like something a classic matte lipstick would feel like, but better. Smoother. But it doesn’t go as far as being too silicone-y (like BECCA Antoinette) and gives too much slip. The finish is, just as advertised, matte but not dull-looking. Tom Ford Lip Color Matte Pink Tease, to my eyes, is a light cool-toned pink and I’m guessing there’s a slight yellow undertone in it, making it less blue and not so much of a Barbie-pink. It can look brighter (or darker) depending on how my lips that day, but it doesn’t go over to the Nicki Minaj-side of things, where it’s too stark. This is definitely still wearable in my book. I won’t lie that this doesn’t cover my lips fully, despite being opaque when swatched on my hand. There’s a hint of my natural lip color peeking underneath. Thankfully, it can only be seen if I’m (or you’re) looking at it up close, or when I smile widely. Because I do have a lot of vertical lip lines and the lipstick does have a touch of white base, not to mention it’s matte, the combo seems to emphasize the unevenness, especially when my lips are acting up. As far as formula goes, Pink Tease is reasonably quite comfortable although it can be slightly drying because of the white base. Wear time falls on average, but I’m not surprised because it is after all a light shade. After a meal, the majority of the lipstick is still on my lips but a bit disintegrated, especially in the center and inner rim. Depending on the condition, I can either reapply directly (after blotting of course) or wipe the whole thing off and start allover again. Either way, it’s not an issue because Pink Tease doesn’t require as much precision as I would need when I’m applying bolder shades. Despite being a little out of my comfort zone, Pink Tease has given me many opportunities to wear and experiment more with my makeup. Things like, heavier blush, darker eye makeup, more bronzer, etc. Of course for all I care, I can just stick with with my usual routine and a touch more blush so I don’t feel so naked. 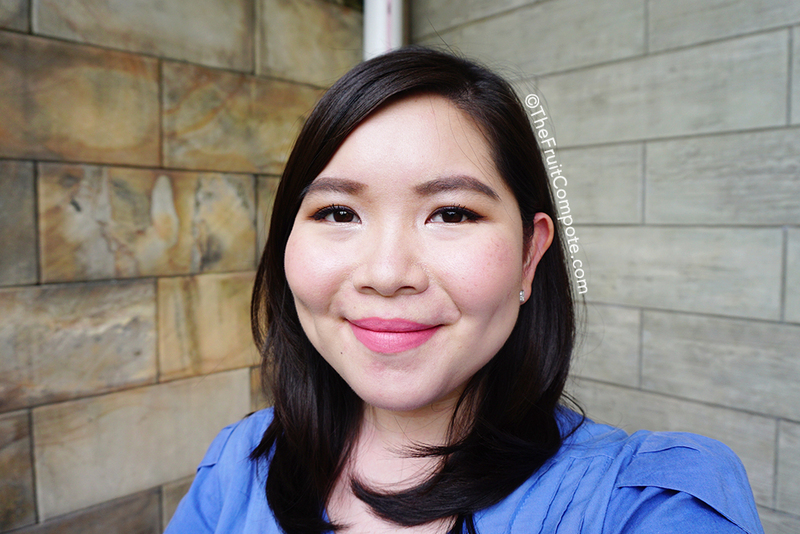 Dior Rosy Glow and Burberry Light Glow Blush in Peony are my go-to blushes when I wear this lipstick. They perk up the mood of my complexion nicely. I am still trying to incorporate Pink Tease in my makeup and getting used to the idea of not wearing a super bright lipstick. Some of the easiest ways that I find is to wear this whenever I have to go out for a quick errand and to the Sunday Mass.